Now that Summer is almost officially here, MaMa says that nobody likes to spend as much time in the kitchen when they can be out enjoying the sun, so we thought we'd share one of MaMa's favorite new tips - Whole Wheat Chocolate Chip Cookies when you want them! We made the Whole Wheat Chocolate Chip Cookies that we featured back in February from Good To The Grain . They are made with Joseph's Grainery Hard Red Whole Wheat Bread Flour and make for a definitely halfway healthy cookie - a great summertime snack! 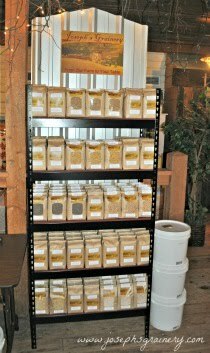 You could also use this trick with just about any of the recipes that use the Joseph's Grainery Whole Grain Cookie Mix. Directions: Make the cookie dough as directed by which ever whole grain recipe you're using. 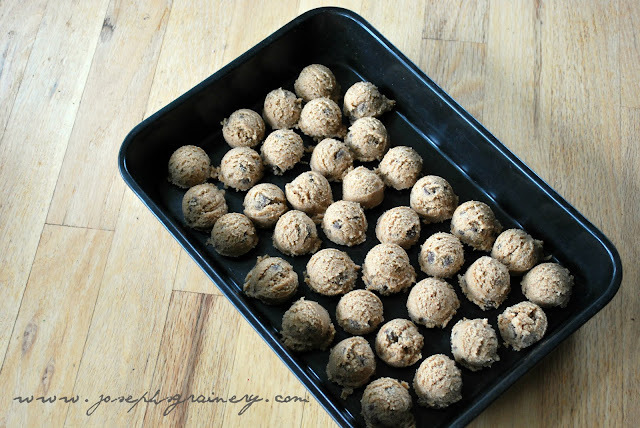 Using a cookie scoop , scoop the whole grain cookie dough into small balls and place in a 9x13 pan so they aren't touching one another. Whole Wheat Cookie Dough ready to freeze! Place in your freezer for about an hour. 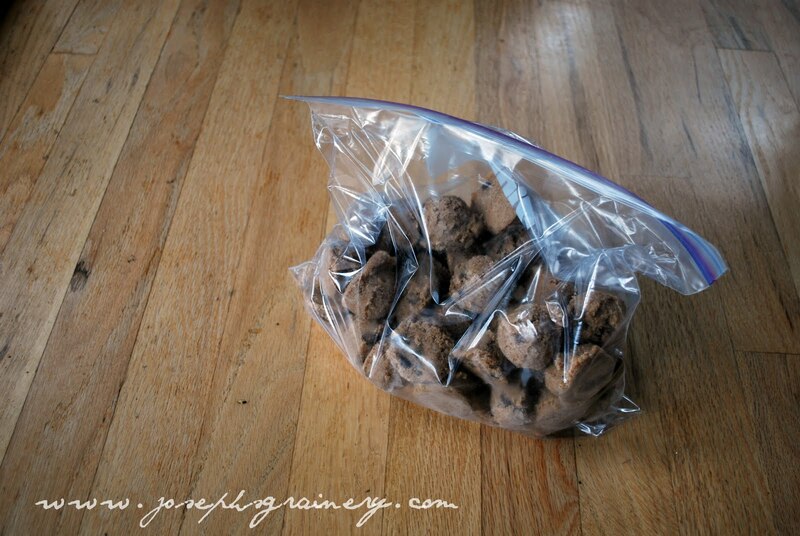 Once the cookie dough balls are frozen, you can place them in a freezer bag and put back into the freezer. Whole Wheat Chocolate Chip Cookie Dough ready when you want it! When you want some cookies, take a few of the cookie dough balls out, place on a greased cookie sheet and bake at the recipes indicated temperature and time (usually at 350 for about 8-10 minutes). Enjoy!